A visually impaired gamer, TJ further explained in the Reddit thread that he uses in-game sound cues to play games like WWII and Black Ops III. He also has more in-depth explanations on his YouTube channel, demonstrating how he can use sounds of the environment to navigate Black Ops III’s Zombies Chronicles maps. 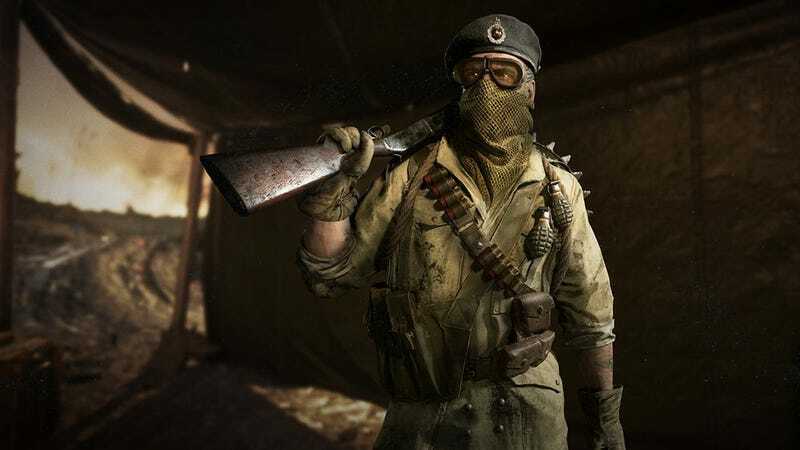 The distinctive Gobblegum machine sound and the buzz of the overhead lights can help him traverse Treyarch’s remastered Nacht der Untoten map, he said. TJ says that Call of Duty games have several features that aid visually impaired players, but would like to see more. “When I lost my vision and attempted to play Call of Duty again it was pretty difficult since I was never used to using a headset as much as I would need to without my vision,” TJ said via Twitter DM. The recent addition of the Call of Duty Alexa skill, which allows players to use the Amazon Alexa to give and receive voice commands, also allows TJ to get more information in a non-visual way. The Alexa skill can offer gameplay tips, check stats and prestige progress, and even tell players if their friends are online. He also suggested a screen reader within the Call of Duty games that would read out all the on-screen text. At this moment, a visually impaired player would have to have a sighted person tell them, or look up guides for the names of the guns that they’re unlocking. TJ praised Treyarch’s Zombies Chronicles DLC for having such great audio quality, and he hopes the studio continues using the same engine for future Zombies installments. I asked TJ about his goals for WWII. “Short-term goal right now is getting those final kills and reaching 10,000 total kills which I still have never heard of a blind person accomplishing,” he said. TJ also hopes to become the first blind player to hit the top Master Prestige level on Call of Duty: WWII. When he’s not on the Call of Duty grind, he also enjoys playing and doing walkthroughs for Diablo III—a game, he said, that is extremely accessible to the blind.